Posted on October 12, 2018 by Nar-Anon Family Groups. Posted on October 5, 2018 by Nar-Anon Family Groups. Posted on September 28, 2018 by Nar-Anon Family Groups. Posted on September 21, 2018 by Nar-Anon Family Groups. 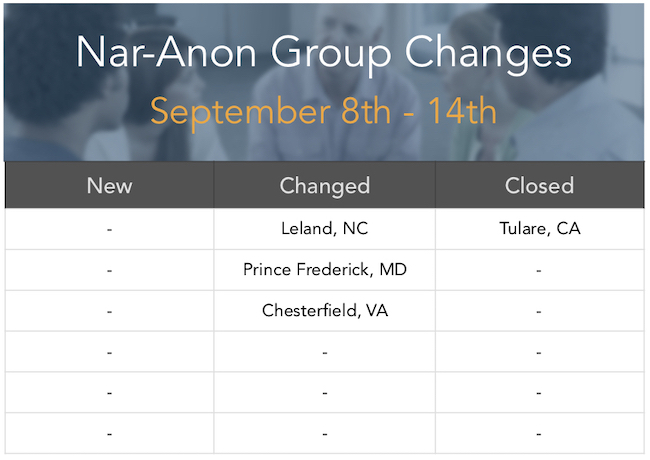 Posted on September 14, 2018 by Nar-Anon Family Groups. 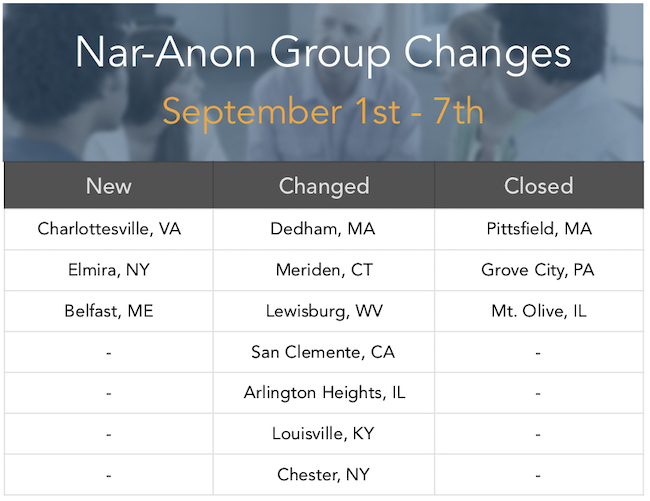 Posted on September 7, 2018 by Nar-Anon Family Groups. Posted on August 31, 2018 by Nar-Anon Family Groups. Posted on August 24, 2018 by Nar-Anon Family Groups. Posted on August 17, 2018 by Nar-Anon Family Groups. Posted on August 10, 2018 by Nar-Anon Family Groups. Posted on August 3, 2018 by Nar-Anon Family Groups. Posted on July 27, 2018 by Nar-Anon Family Groups. 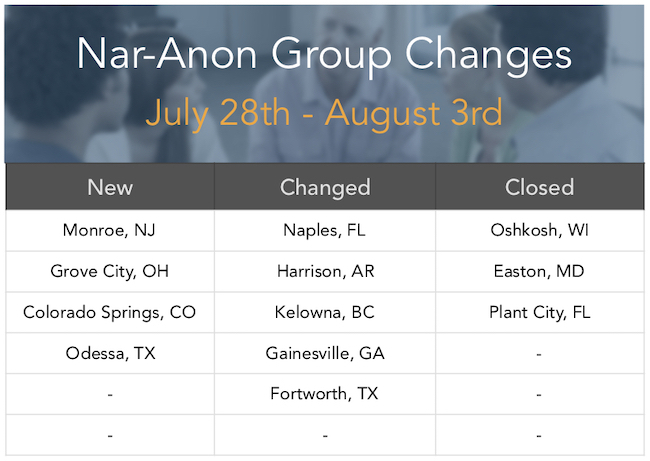 Posted on July 20, 2018 by Nar-Anon Family Groups. Posted on July 13, 2018 by Nar-Anon Family Groups. Posted on July 6, 2018 by Nar-Anon Family Groups. Posted on June 29, 2018 by Nar-Anon Family Groups. Posted on June 22, 2018 by Nar-Anon Family Groups. Posted on June 15, 2018 by Nar-Anon Family Groups. 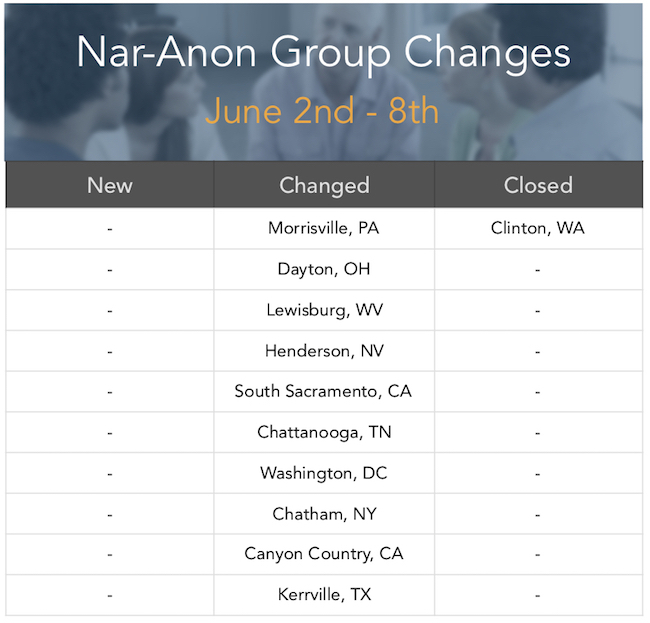 Posted on June 8, 2018 by Nar-Anon Family Groups.